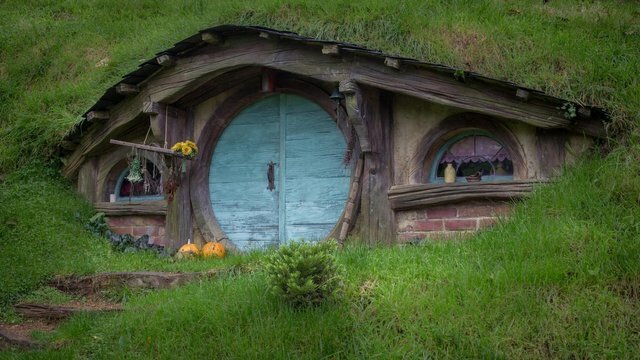 is the small village in JRR Tolkiens "Hobbit" and "Lord of the Rings" books/movies which the family of Bilbo and Frodo Baggins calls their home. And it's also a very real place! A place you can visit! 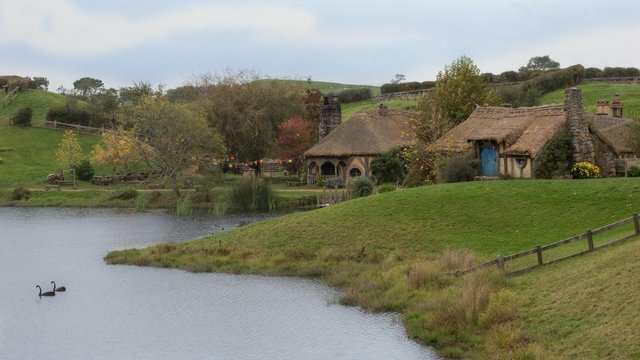 I've always dreamed about seeing Hobbiton with my own eyes since I saw the first of the "Lord of the Rings" movies. It all seemed so peaceful, natural and cute. So when I was travelling New Zealand I decided to make this dream come true. 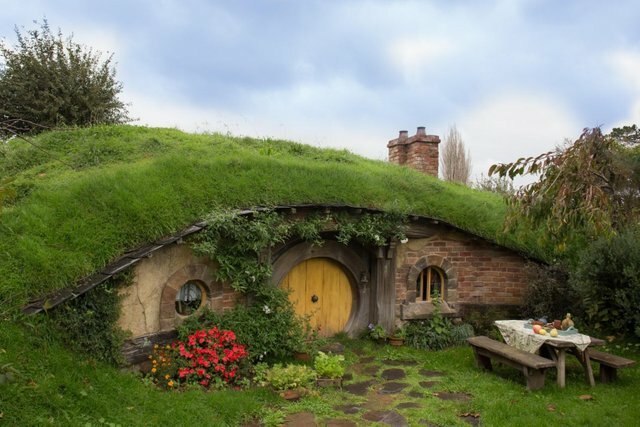 The movie Set is located on the north island of New Zealand in the Waikato district, near the small town "Matamata". 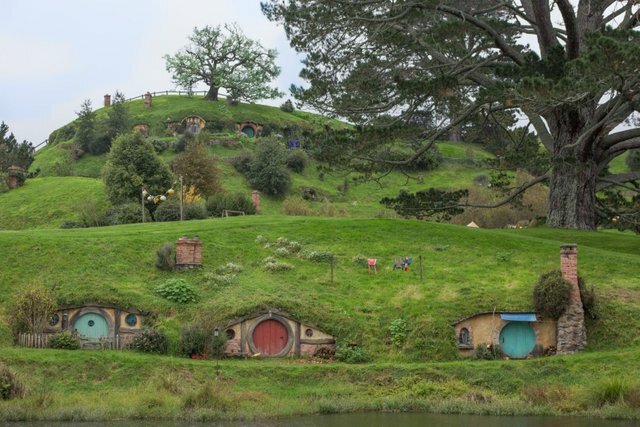 It used to be a livestock ranch for sheep and cattle until Peter Jackson, the director of the movies found it while looking for places to shoot the first of the "Lord of the Rings" movies in 1998. 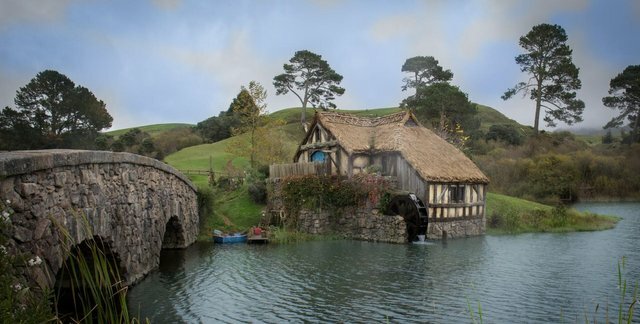 About 37 "Hobbitholes" were constructed, also hedges, bridges and a mill was build for the movie set. 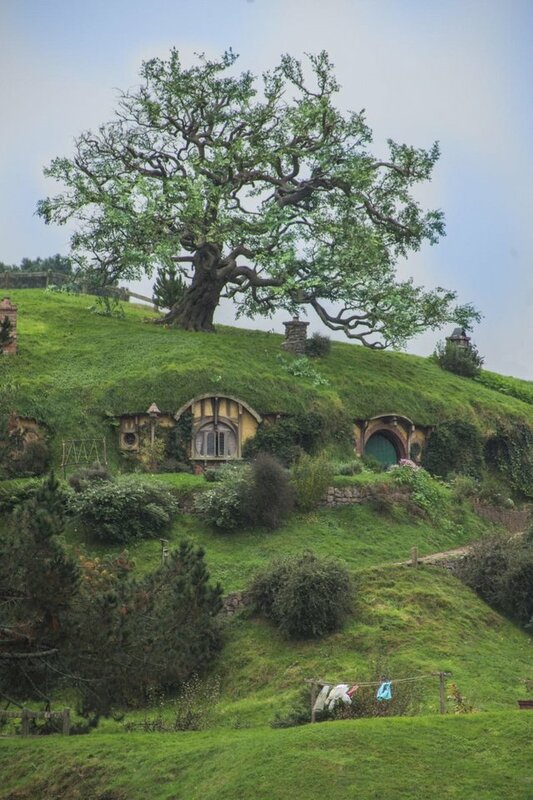 The iconic oak above Bilbos home was cut down near Matamata, moved to the set and planted. Unfortunately it lost all its leaves so the crew created thousands of artificial leaves and glued them on the tree again to make it look alive again. Alive is the right word to describe the general impression we had while walking arount in Hobbiton. It looked like all the hobbits were hiding, everything around me looked like it just has been used. 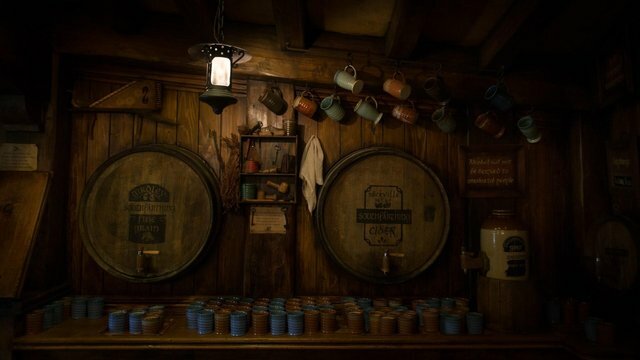 For example clothes were hanging out to dry or filled tables with food like apples and corn (they were fake, but pretty nicely done). 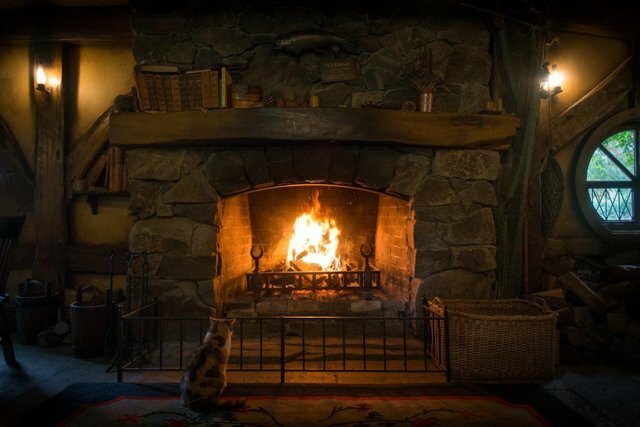 It had been possible to enter Bilbos house in the past, but sadly not anymore. Theres just too much stuff getting stolen here at a daily basis, so the staff decided to prevent this by banning it completely. 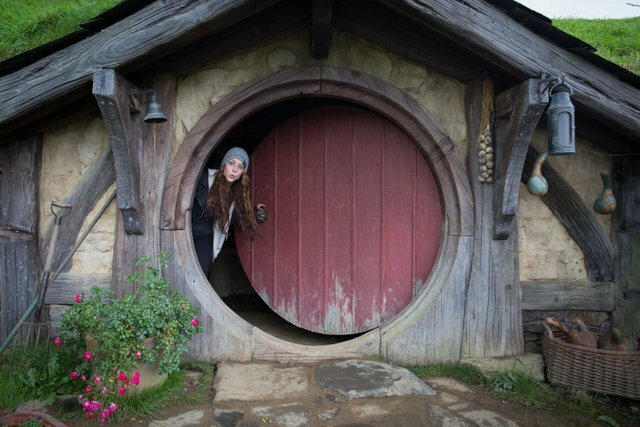 The only hobbit house possible to enter had nothing in it, it was just a wooden door and a small room behind it. Theres also a lovely cat living there, but being used to this many tourists she wasn't very interested in us and looked at the fireplace instead. 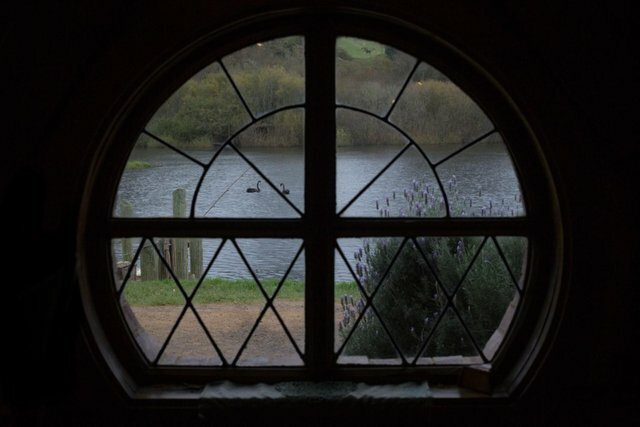 Hope you liked my little insight of the village of Hobbiton, thank you for stopping by!